Posted on: 2014年8月1日 in OMEGA by yamaguchi. Posted on: 2014年7月18日 in OMEGA by yamaguchi. Posted on: 2014年6月18日 in OMEGA by yamaguchi. Posted on: 2014年6月12日 in OMEGA by yamaguchi. Posted on: 2014年6月6日 in OMEGA by yamaguchi. 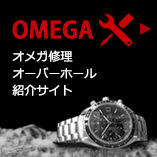 Posted on: 2014年6月4日 in OMEGA by yamaguchi.